Perfect for the holidays! 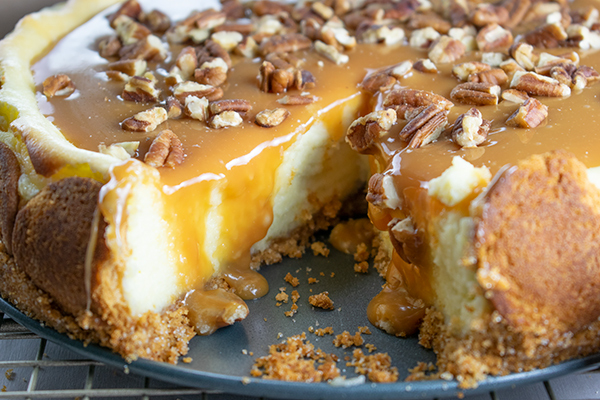 This delicious cheesecake topped with creamy caramel, crunchy pecans, and a wafer crust will be the rave of the party. For more dessert recipes, go to culinary.net. Arrange whole vanilla wafers around sides of the pan. Watch the video to see how to make this delicious dessert!